Washington, D.C. offers an unparalleled experience for those who choose to call the city and its surrounding area home. The city is known for its monuments, memorials, and bustling daily life. There's literally never a day when you’ll find yourself with nothing to do. 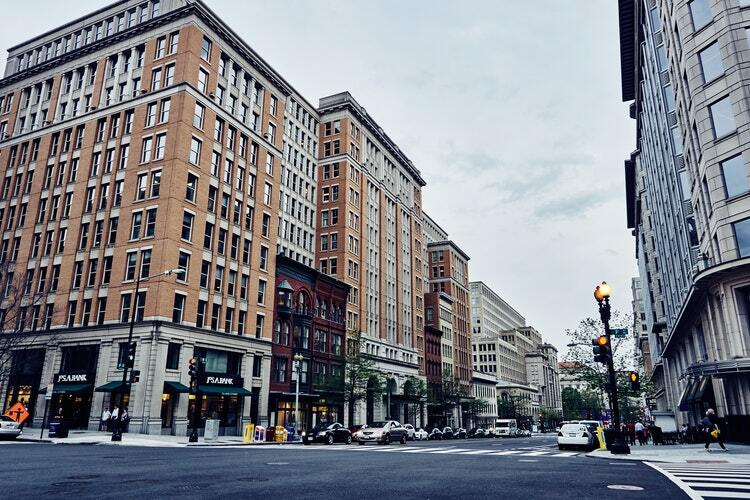 However, Washington, D.C. is also filled with eclectic neighborhoods that all offer a genuine local flavor that is unique to each, truly making it a city that's unlike any other. If you're looking to buy your next house in Washington, D.C., it's crucial that you hand-select the best realtor to meet your needs. According to information provided by Zillow, real estate in the D.C. area has been a seller’s market for many years. This simply means that the available inventory of housing in Washington, D.C. doesn’t meet the demand for buyers looking to purchase houses and townhomes in the area. Whether you're a young professional looking to jumpstart your career in D.C. or are relocating with your family, take these three steps to find the top real estate agents in Washington, D.C.
Because the D.C. area is so thoroughly inundated with people and businesses, finding the specific neighborhood or pocket of neighborhoods is absolutely essential before you begin your search for your next home. Not only do the amenities and businesses change drastically from neighborhood to neighborhood, but location is critical to getting to your desired destination with minimal hassle. Residents will be quick to tell you that the daily commute to necessary destinations will be at the forefront of how you plan your day. Many of the top real estate agents choose to specialize in specific neighborhoods or pocket areas of Washington, D.C. When selecting a realtor, choose one who has a wealth of experience working in the specific area your job or daily routine requires you to be. Never discount the power of a real-life testimonial. People are more likely to provide you with a truly honest recap of their home-buying experience when they're speaking to you directly. It will also give you the rare opportunity to ask detailed questions. Your home-buying needs are specific only to you. Therefore, the more specific questions you can ask, the better information you'll receive from an agent’s past clients. While a personal referral is very beneficial, the thriving digital world has made it easier than ever to find top-selling realtors® in Washington, D.C. For example, Effective Agents is a platform that uses a proprietary algorithm to analyze information on exactly what you're looking for in your next home and pair you with a list of the area’s top agents who will best meet your specific needs. The initial search for a realtor can feel a little overwhelming due to the volume of real estate agents in Washington, D.C., but Effective Agents will help you whittle that list down to a few top agents that will exceed your expectations. Find more about housing in Washington, D.C. and other real estate news by registering on 202area, your free guide to the Washington, D.C. area.